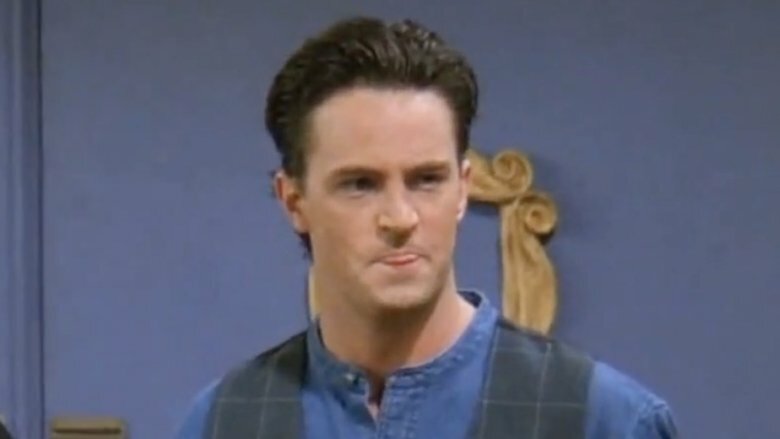 Young working actor Matthew Perry scored in 1994 when he was cast in a little sitcom called Friends. Perry became a household name when the show about six New York City pals living, loving, and raising ducks became an instant smash hit. Perry was arguably the most charming one of them all, thanks to his portrayal of Chandler Bing, a relentlessly wisecracking, emotionally stunted office drone who deeply loved his best friend Joey (Matt Le Blanc) and his wife Monica (Courteney Cox). In other words, a lot of viewers saw themselves — or someone they knew — in Chandler. 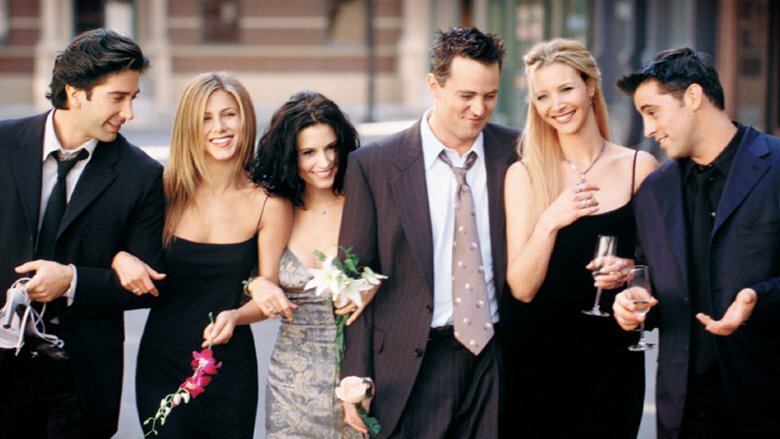 Viewers invited Friends into their homes for ten seasons, and when the show ended in 2004, all six stars went their separate ways to varying levels of success. Perry's post-Friends resume is a bit more spotty than one would have suspected it to be. Here's why Hollywood seemingly can't or won't cast Perry anymore. During the first blush of fame for the stars of Friends, nearly all the actors went off to make movies — terrible, terrible movies (with the exception of Courteney Cox in the exceptional Scream franchise). Matt Le Blanc, for example, starred in Ed, a movie about a baseball playing monkey; David Schwimmer appeared in a bleak romantic comedy called The Pallbearer; and Matthew Perry starred in the romantic comedy Fools Rush In with Salma Hayek. It made just $29 million at the box office — a weak start for Perry's film career. He eventually found some success in The Whole Nine Yards, but let's be honest, that was a Bruce Willis vehicle in which Perry played second fiddle. The rest of Perry's film career produced results that probably make Hollywood tentative to place him at the center of a multi-million dollar production. Consdier bombs such as Fools Rush In, Almost Heroes, Three to Tango, Serving Sara, and The Whole Ten Yards. To date, Perry hasn't starred in a movie since 17 Again in 2009, and it doesn't look like he's going to star in one anytime soon. 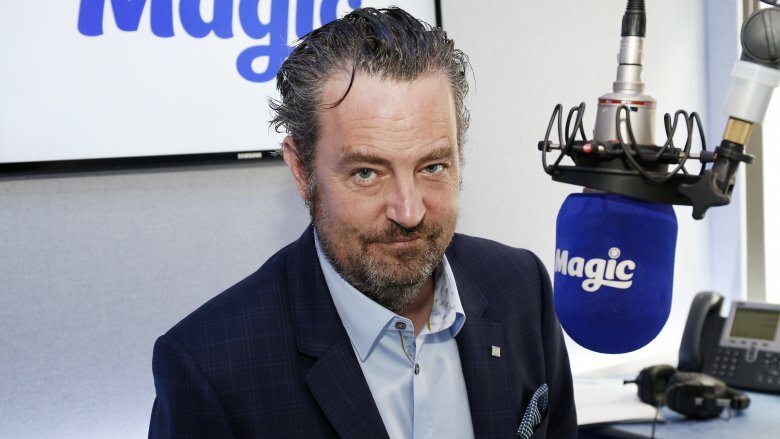 Matthew Perry is an actor, and actor likes to stretch their acting muscles, particularly after getting pigeonholed by the world and Hollywood into doing just one kind of thing. This is all to say that Perry has branched out past broad television comedy into very serious television drama. In 2006, his first big post-Friends gig was Aaron Sorkin's Studio 60 on the Sunset Strip. On the deadly serious, self-congratulatory show about a Saturday Night Live series doing important work, Perry played Matt Albie, one of the show's legendary writers. Despite being Sorkin's much-ballyhooed follow-up to The West Wing, the show was a ratings disappointment and lasted just one season. In 2017, Perry played "the most challenging role of his career" — Ted Kennedy in The Kennedys: Decline and Fall, the umpteenth TV miniseries about the Kennedy dynasty. It aired on an obscure cable channel called Reelz, and unfortunately, it didn't increase Perry's profile much; neither did a recurring role as a nasty lawyer on The Good Wife and its spin-off, The Good Fight. After the cancellation of Studio 60 on the Sunset Strip, Perry returned to the world that was very good to him: TV comedy. However, a Friends-shaped lightning bolt didn't strike twice. Unlike his former co-stars' TV comedy projects — Courteney Cox's Cougar Town and Matt Le Blanc's Episodes — Perry's funny shows came and went quickly. On ABC's 2011 surreal workplace comedy Mr. Sunshine, Perry played Ben Donovan, manager of a third-rate San Diego sports arena. ABC canceled it after nine episodes. In 2013, Perry returned to NBC with Go On. In this drama-infused single-camera comedy, Perry played a widower who joins a grief support group that includes characters played by Broadway star Laura Benanti and alt-comedy icon Brett Gelman. This one lasted a little longer than Mr. Sunshine: 22 episodes. In 2015, Perry returned to non-ambitious TV comedy with the laugh-track-laden sitcom The Odd Couple, a remake of the '70s classic, which was based on a Neil Simon play. That one survivied just 38 episodes. Sadly, Perry is now known as much for his off-stage struggles with substance abuse as he is for his on-screen role as Miss Chanandler Bong. In a 2013 interview with People, Perry revealed the finer, lower points of his long battles with alcohol and prescription drugs. "I was on Friends from age 24 to 34," he said. "From an outsider's perspective, it would seem like I had it all. It was actually a very lonely time for me because I was suffering from alcoholism. It was going on before Friends, but it's a progressive disease." Things got worse when a doctor prescribed strong painkillers after a jet-ski accident. Perry said he took the pills and "felt better than I ever felt in my entire life. I had a big problem with pills and alcohol, and I couldn't stop." Perry went to rehab on more than one occasion, and by his early forties, he counted himself sober. He also devoted a lot of his time to trying to help other people dealing with substance abuse. He lobbied Congress to provide $45 million to fund "drug courts," in which nonviolent drug offenders get "sentenced" to treatment instead of jail time. He even converted his Malibu home into a sober living home called Perry House. Ready for a startling revelation about Hollywood? The movie industry is a superficial, appearance-obsessed place. The way an actor looks is as important, if not more important, than their skills, ambition, and past successes. The people who make movies often cast a part with a "look" or with a famous face in mind, and if a known actor's looks change, it can affect their ability to get roles for which they might have otherwise been considered. 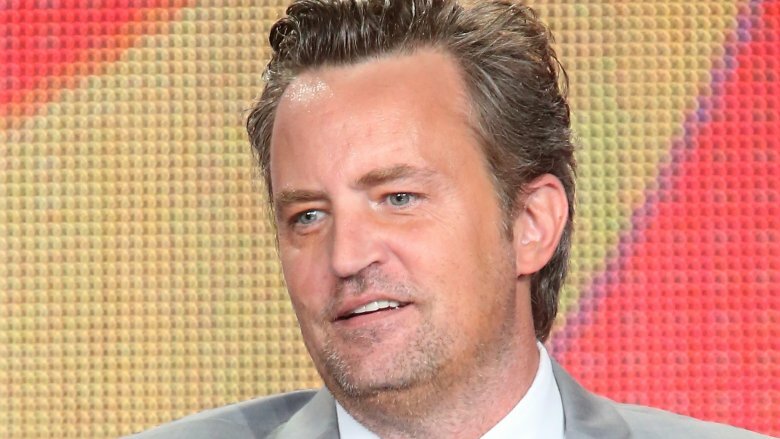 The problem with Matthew Perry just may be that Matthew Perry doesn't look like "Matthew Perry" anymore. The passage of time will change a person's appearance somewhat — Friends debuted in 1994, after all — and life has a way of putting some folks through the ringer. Years of substance abuse, along with the health problems, have taken a visible toll on Perry's appearance. It's no exaggeration to say that he's increasingly unrecognizable, and unfortunately, Hollywood doesn't seem interested in the real person anymore. 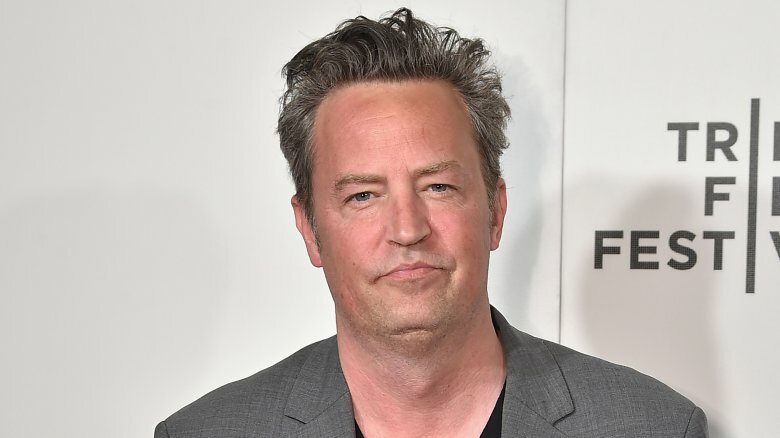 In the late '80s and early '90s, Matthew Perry was a young character actor working mainly in TV, particularly in short-lived shows, guest-starring gigs, and short plot arcs. Before Friends, his biggest gig was playing Carol Seaver's boyfriend, who died after driving drunk, in an episode of Growing Pains. Perry won the career and steady income lottery when Friends came around. Unfortunately, when an actor is on an insanely popular and long-running show, it can ironically limit their future work possibilities. Perry is so inexorably linked with Chandler Bing that it's been hard for him to break free. For a lot of folks producing and consuming entertainment, it's still hard to view Perry as anything other than a 20-something smart aleck in a sweater vest. After playing Chandler Bing more than 240 times, Perry may be locked into the '90s and his character forever, particularly considering Friends may continue to air in reruns until the end of time. Friends fans have clamored for some kind of reunion since about 10 minutes after the show wrapped in 2004. Be it a big-screen movie, a reunion special, or a full-on reboot, millions would love to see Chandler and Monica's nearly-grown twins or find out just how many times Ross and Rachel have broken up and gotten back together. It would take a lot of effort and money to get all the friends back together, considering they're all pretty busy, particularly A-list movie star Jennifer Aniston. And yet, she's not the one reportedly dragging her feet. 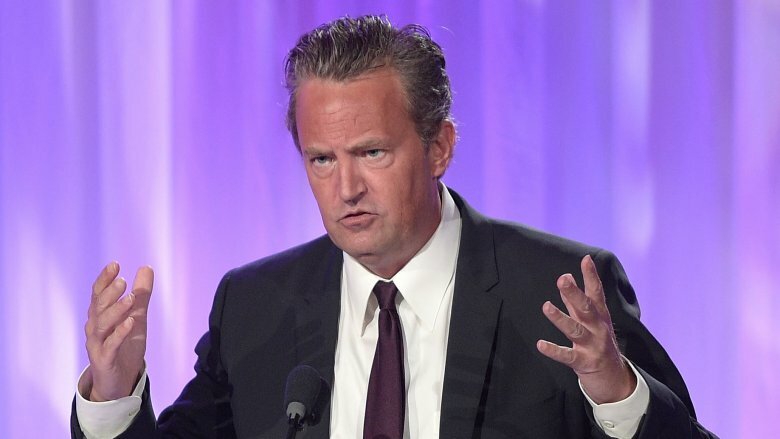 The one member of the cast who isn't down for a Friends reunion — and who arguably may have the most to gain from one — is Matthew Perry. In 2017, he told Vanity Fair that he fears it wouldn't be any good. "I have this recurring nightmare — I'm not kidding about this. When I'm asleep, I have this nightmare that we do Friends again and nobody cares," Perry said. "We do a whole series, we come back, and nobody cares about it. So if anybody asks me, I'm gonna say no. The thing is: we ended on such a high. We can't beat it." The closest thing to a Friends reunion went down in 2016. A televised tribute to prolific TV director James Burrows featured five out of six friends — guess who was missing? Perry's reps said he couldn't attend because he was stuck in London rehearsing his play, The End of Longing. 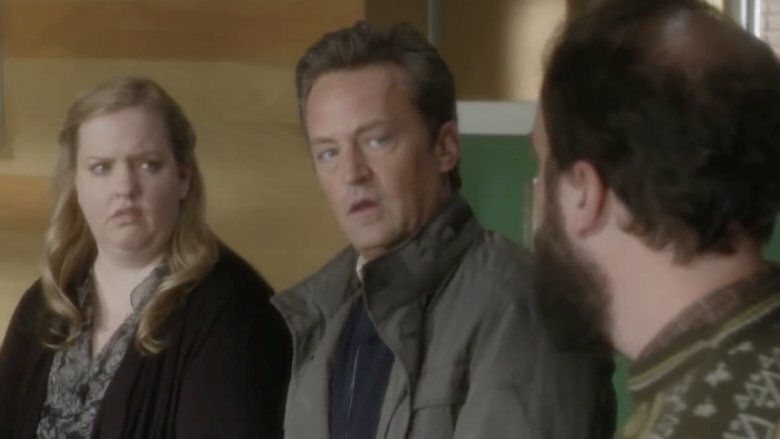 A lot of Matthew Perry's post-Friends television projects didn't become massively popular cultural touchstones, but they at least gave him some experience for the burgeoning next phase of his career: making stuff rather than just acting in stuff. For example, Perry came up with the idea for Mr. Sunshine, and he co-wrote the first and last episodes of the short-lived series. He was an executive producer on that show, the same role he'd take on Go On, The Kennedys: Decline and Fall, and The Odd Couple. Perry also co-created and starred in an unsold 2008 pilot called The End of Steve, a comedy about a potty-mouthed talk show host. Creating and writing to supplement his acting is definitely where Perry's heart lies these days. In 2017, his play, The End of Longing, moved from London to New York. A critic for The New York Times described it as the story of "a Chandler gone to seed, a round-the-clock drunk named Jack who is eking his way through his late 40s on sarcasm and a last filament of charm." That sounds familiar … uncomfortably so. 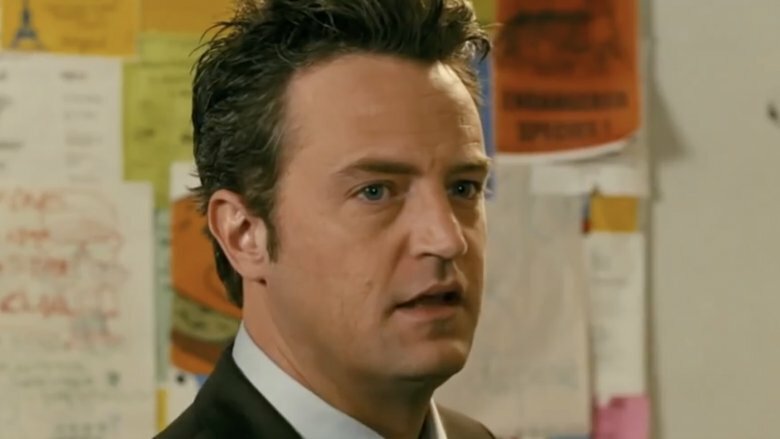 According to IMDb, Matthew Perry's last acting work hit screens in April 2017: He played Robert Kennedy in the Reelz miniseries The Kennedys: After Camelot. Even a two-year absence can feel like an eternity in Hollywood, but there's a good reason why Perry didn't work much between 2017 and 2019. He was seriously ill.
On Sept. 14, 2018, Perry bluntly tweeted: "Three months in a hospital bed. Check." That came about a month after his people told People that Perry "underwent surgery in a Los Angeles hospital to repair a gastrointestinal perforation." If "gastrointestinal perforation" sounds awful, that's because it is — a medical condition or trauma causes a hole to form in either the stomach, bowels, or gallbladder. It takes a long time to recover from major surgery, not to mention a procedure to treat a painful condition, so Perry was out of acting commission for a while. 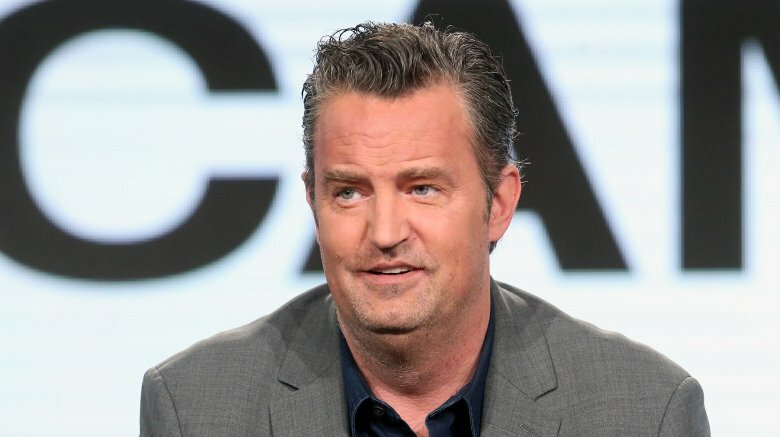 Matthew Perry's struggles with drugs and alcohol are well-documented, and he remains committed to getting sober. In early 2019, he took time out of his career to reportedly enter some type of rehabilitation program, because he noted on social media that he'd been forced to leave that program. On Feb. 6, 2019, Perry tweeted: "I got kicked out of therapy today." The messages of support and relevant Friends GIFs rolled in, although the next day, Perry tweet-clarified: "Easy guys, it was just one session. I'm back in therapy where I belong "
In March 2019, however, a source told Radar Online that Perry had been tossed from rehab because he'd been using a dating site called Raya during the formal recovery process — a major no-no. "Matthew got kicked out because he was too busy with models he's texting through the app," the mole said. "He wasn't concentrating, which is worrying everyone. They need him to be focused on sobriety, taking it seriously — not trying to hook up!" The March 2019 death of Luke Perry saddened and shocked fans of his work on Beverly Hills, 90210 and Riverdale. The seemingly healthy actor suffered a massive stroke at age 52 and never recovered. 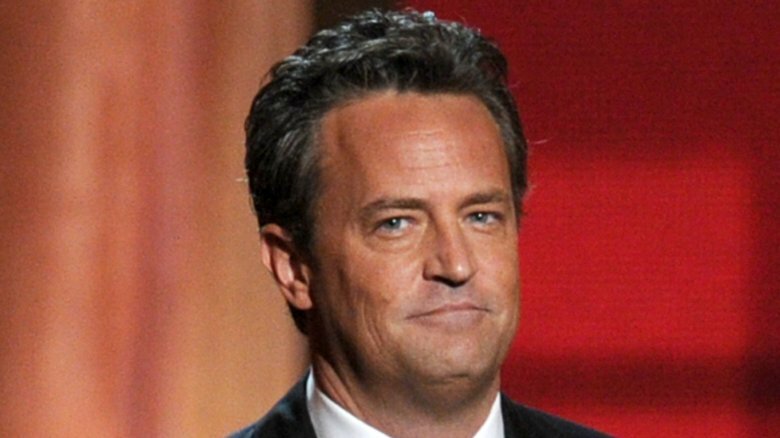 Somehow, fellow '90s TV star Matthew Perry got caught up in the tragic news when some people thought that he died. This supposedly wasn't so much a hoax as a misunderstanding. According to Heavy, just after Luke Perry's death, some social media users posted mournful words about the loss of Matthew Perry. Why? 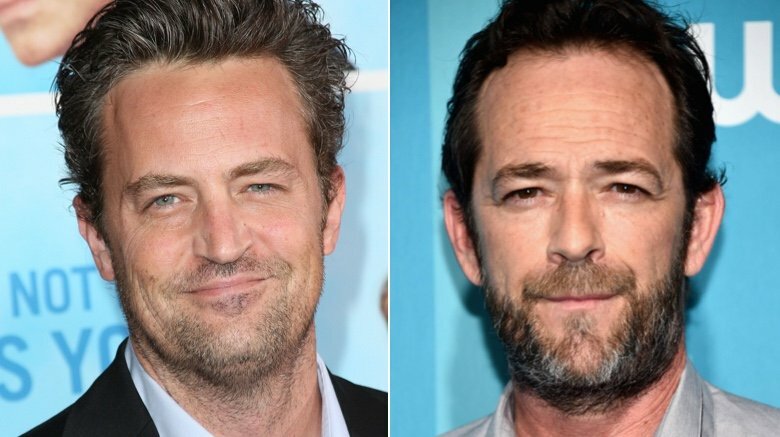 Well, both Luke Perry and Matthew Perry are actors, about the same age, and best known for playing iconic '90s characters (Dylan McKay on 90210 and Chandler Bing on Friends, respectively). Also, those folks may have inadvertently confused the widely (and recently) reported health struggles experienced by Matthew Perry with Luke Perry's shocking stroke. 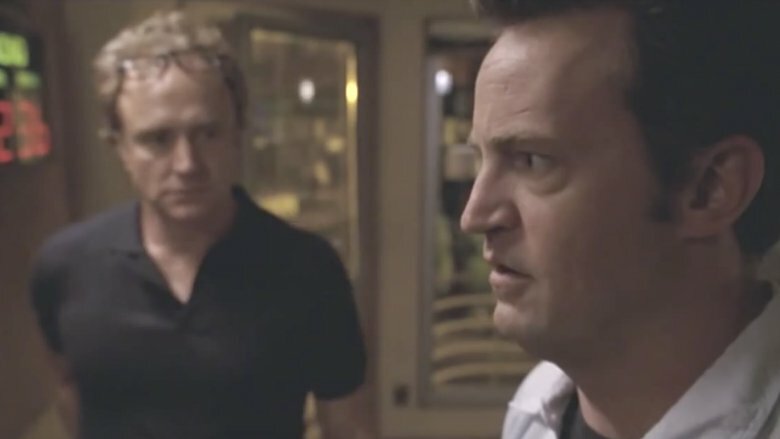 This terrible and terribly sad twist of events certainly doesn't fully explain why it feels like Hollywood won't cast Matthew Perry, but it does compound the laundry list of challenges hampering his career.